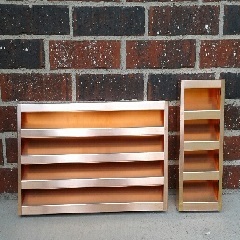 Copper Summit, Inc. is an American small business that provides the best architectural copper products on the market. Our artisans have over 50 years of combined experience and their attention to detail and the pride and perfection, along with the workmanship put into each product, is second to none. Copper Summit, Inc. welcomes the opportunity to provide you with architectural copper products that will provide a lifetime of satisfaction. We serve architects, general contractors, roofing contractors, engineers, builders, and individual customers nationwide.